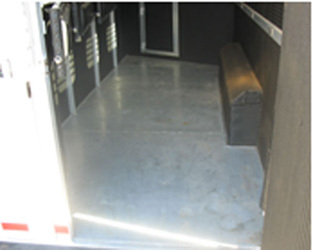 WERM Flooring is a low cost and environmentally friendly product that is made from a combination of virgin and recycled rubber. 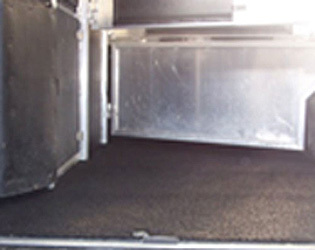 The product is then poured into place and Trawled onto the floor, much like finished concrete. 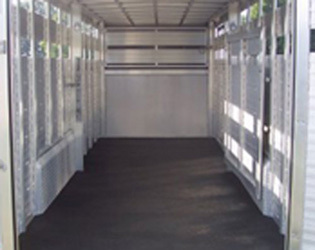 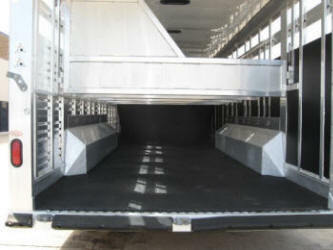 The finished product is half an inch thick, is impervious to liquids and completely seals the floor, giving your trailers and stalls a non-slip and durable surface.